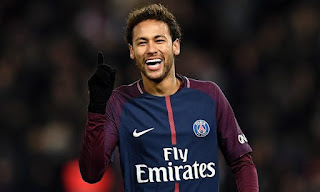 New Paris Saint-Germain head coach Thomas Tuchel insisted that Neymar is the “key player” for his side, as his team prepare for the start of their Ligue 1 title defence against Caen on Sunday. The stunning performances of Kylian Mbappe at the World Cup and consistent speculation linking Neymar with a move away from the club have left the Brazilian’s status as PSG’s star man somewhat in danger. “It’s totally clear that he’s my best player,” said Tuchel, who took over at the Parc des Princes from Unai Emery in May. “He’s one of the best players in the world. He’s an artist, a creative player, and for players like that, it’s easier if you don’t put too much pressure on them. That’s important. Neymar, the most expensive player of all-time, will be hoping to remind the PSG fans of his quality after missing the final three months of last season with injury before being ridiculed for regular playacting at the World Cup. In contrast, teeange sensation Mbappe shone in Russia, scoring four goals, including in France’s final victory over Croatia. But Neymar did score 19 league goals in 20 games last term before his foot injury, and made 13 assists. German Tuchel was keen to play down concerns that the 26-year-old doesn’t work hard enough for the team. “There are other people in the team who are responsible for defence, the structure of the team, but that’s not his job,” said the former Borussia Dortmund boss. The capital-city giants host Caen at the Parc des Princes looking for a second straight domestic title, although all eyes will already be focused on their latest tilt at the Champions League with the group stage set to start on September 18.